First you need to check out your site, you may also be able to show ads in between your recommendations. Ads are only available for sites that can be well monetized. The AdSense program policies still apply to pages containing Matched content units. They are not eligible for use in experiments. Lets first create a matched content unit and later we will discus how to setup and show matched content native ads in blogspot blogs. First we need to Sign in to your AdSense account. Now click on the My ads tab. Then click the button +New ad unit. Choose Native, then click Matched Content. 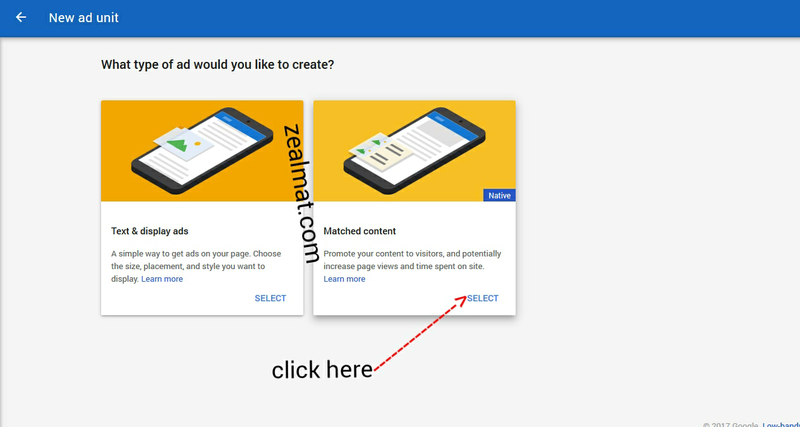 A drop-down in the upper corner of the preview area will tell you which of your blogs is eligible or approved for Matched content. From the right sidebar options, give your Matched content unit a suitable name. 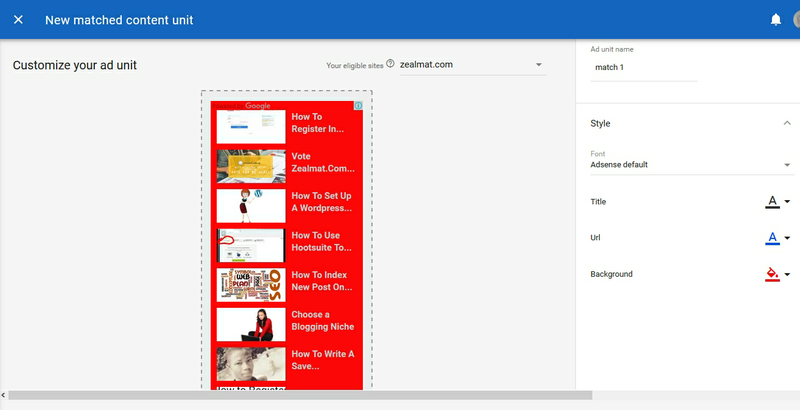 Try to enable "Monetize with ads" option to earn more revenue by displaying native ads inside matched content. Select "Size" section, choose "Responsive" if your blogger template is mobile responsive else choose custom. When using a custom size, AdSense recommends to choose an ad size with a width:height ratio of around 2:1 for a horizontal layout, or 1:2 for a vertical layout. Then finally click SAVE AND GET CODE. I guess is only for Specific Publishers with large content on their site. Cause i can't find it on my Adsense Dashboard.